A newly furnished apartment (ground floor) is available in this holiday house, which is located in Treggiaia, between Pisa and Florence. 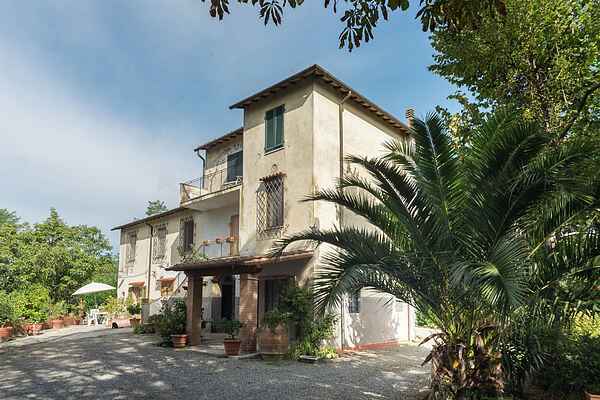 There is also a large garden for the guests (350 m2) with garden furniture, ideal for relaxing, reading a nice book, or preparing to see all the beautiful cities around. . You can sample the Italian atmosphere in this holiday house and visit the beautiful surrounding area with the cities of Pisa (around 30 km away) and Florence (around 60 km away) as well as the rest of Tuscany. The owner, who studied at the art academy, will gladly give you tips on the area and local culture. A very nice way to discover this area is by bike. There are organised biketours available to see the lovely hills around and visit some winecellar for winetasting. Not too much though! You still have to bike home! The apartment lies in the region of Pisa, in a peacefull place, but very strategic for visits to the cities around. Most cities, like Pisa, Lucca and Florence are reachable by car but also by train. But don't forget all the little towns around us, that are just as well worth a visit!